Muvi, one of the pioneers in the OTT industry will be a part of the upcoming NAB New York. It will be housed at Booth N-534. 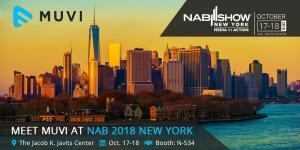 NEW YORK, NEW YORK, USA, October 12, 2018 /EINPresswire.com/ — New York-based technology company, Muvi LLC, is gearing up for the upcoming NAB Show 2018, scheduled to be held at The Jacob K. Javits Center, New York from 17-18 October. The enterprise SaaS platform provider will be housed at Booth No. N-534 showcasing its acclaimed instantly deployable OTT platform that is earning raves for its state-of-the-art design and instant deployability. The end-to-end platform has struck the right chord among the OTT enthusiasts as it incorporates Video streaming (both live & on-demand), Audio streaming, and Merchandising at one place ensuring seamless cross-screen delivery. Muvi’s award-winning OTT platform is the world’s only platform that offers broadcasters, content/media owners and distributors the ability to create, manage, deliver, and monetize ANY content on ANY platform using ANY monetization method, whether advertising, subscription or a transaction model. “Traditional players and new streaming services must take bold action to become the next Hulu or Netflix before Hulu/Netflix become a pay-TV provider—and the platform is a defining factor,” advised Anshuman Das, CEO, Muvi. The Zero Coding – Zero Upfront cost setup is all set to woo the NAB attendees next month who will converge to witness the groundbreaking innovations and powerful solutions to create, manage, deliver, and monetize content on any platform. “Our product strategy is simple. Just listen to your customers. We could incorporate each and every request of our customers for their streaming app, all thanks to our highly customizable platform. With more than a hundred features in the arsenal, Muvi also boasts of unique features such as Playout, Visual Designer, and Easy Integration option that makes us stand out among our peers. All you need to have is quality content and stream right away!”- says Ankit Pandey, Head Business Development, Muvi. 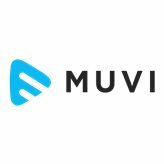 Muvi LLC is a New York based Technology Company behind the popular cloud based Multi-Screen OTT Streaming Platform – Muvi (www.muvi.com). Muvi enables video & audio content owners to launch their own-branded Multi-Device Streaming Platform offering Live and on Demand Video or Audio content across Web, Mobile and TV at a click of a button instantly! Muvi includes everything required to launch a Video/Audio Streaming Platform, from Cloud based IT Infrastructure, CDN, DRM, Online video Player, Transcoding & Encoding Engine, Subscriber Management & Billing Engines, Payment Gateway Integration, Marketing Modules, Analytics & Reports to front end apps for Website, Mobile and TVs, all out-of-the-box, fully managed, deployable at a click of a button, instantly!